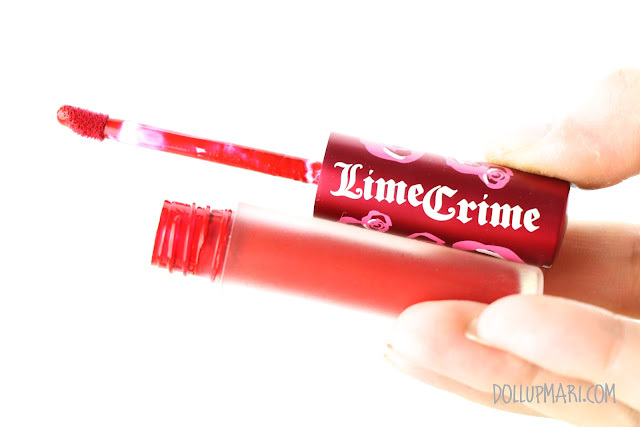 I know it feels weird that it's only now I'm having a formal Lime Crime product review. This is my first Lime Crime review ever, despite blogging about my Lime Crime hauls and even including one of these in my giveaway from waaaaaaay back in 2014! BTW this is also a draft post that got stuck in the pipelines in 2014, so I thought I'd finish it off now. I don't know, for some reason when I see a product all the time in my page or blog, I sometimes forget that I haven't made a formal review about it yet. Anyways, so much for that. 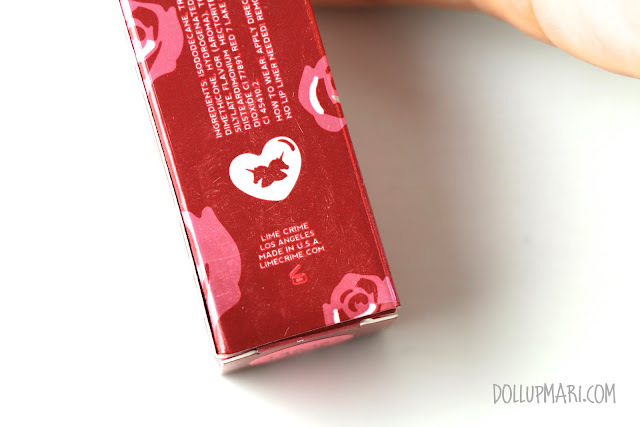 Today, I'll be giving my thoughts on Lime Crime's velvetine. 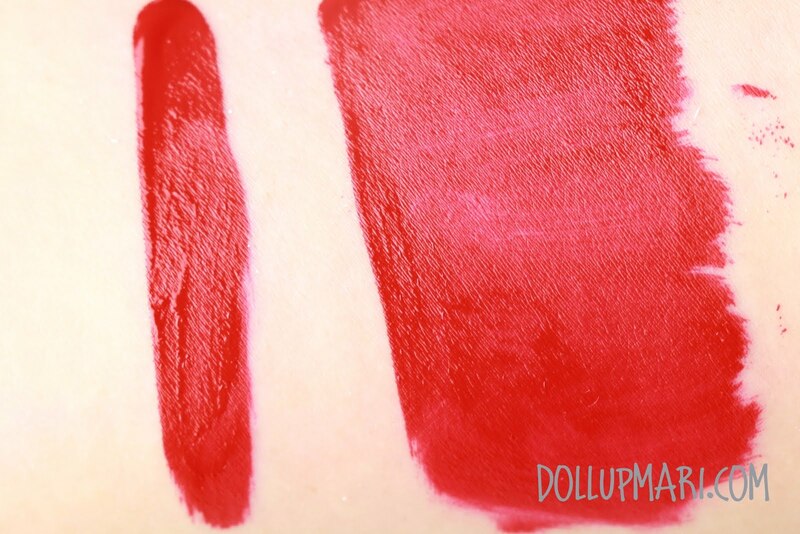 This is their liquid to matte lip stain, or in my own thoughts, the high end version of NYX's soft matte lip cream. So this is the packaging. This is already quite a common sight I think given how many tubes of this online resellers sell in a day! 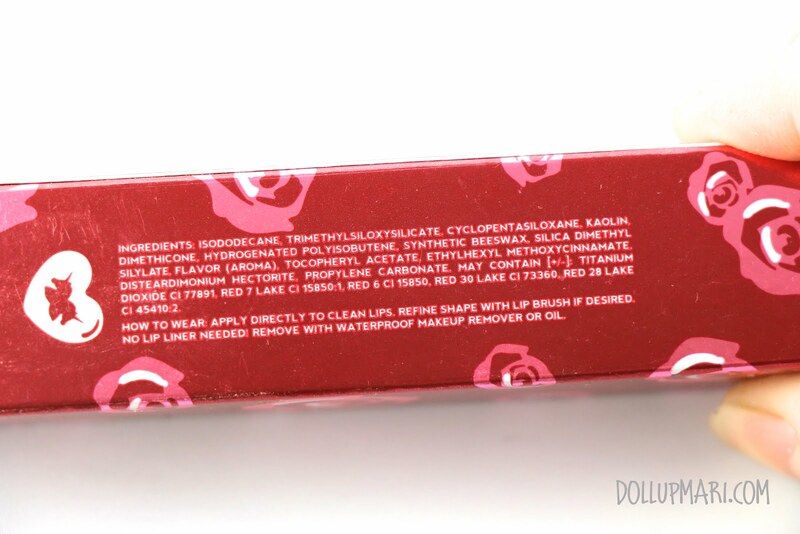 For those concerned of the ingredients, this is the ingredients list as well as instructions on how to use the product. And this is the logo of the twin unicorns on the box. Unfortunately, the photo of the jar on the bottom is just too small I can't see how many months you're supposed to keep this product. This shade is in Red Velvet. I know this is already so late given that they've already released like four shades just within the second quarter of this year. This is the tube's top, and the twin unicorns are there. As you can see, it's a bit of a fat tube, and is quite short. When I saw it online, I thought that it'd be a longer, thinner tube, but it's the opposite in real life. This will be quite helpful to those who have small or short makeup pouches. 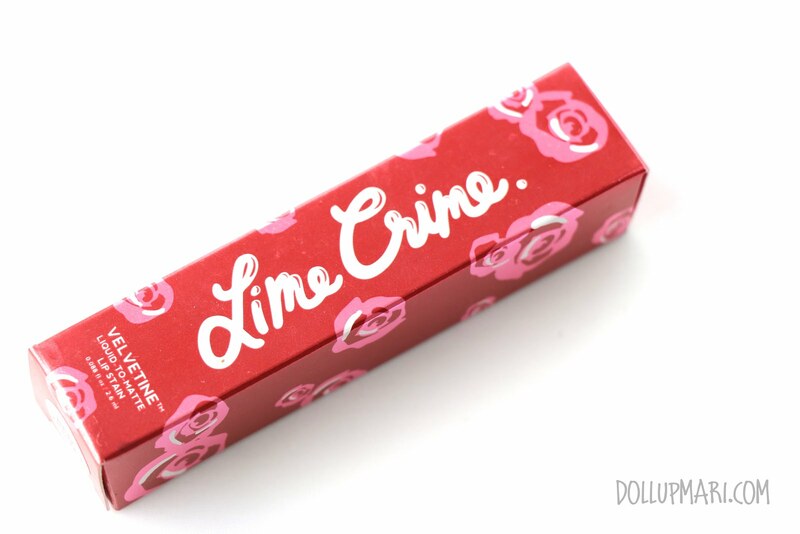 On one side is the logo of Lime Crime. And on the other side a bouquet of roses. Suuuper cute! 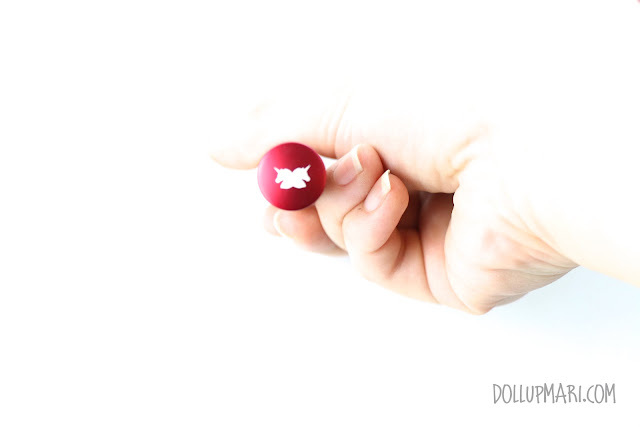 And this is how it looks like on the wand for reference purposes. The moment you lift the wand up it starts to smell a lot like lemony cotton candy. 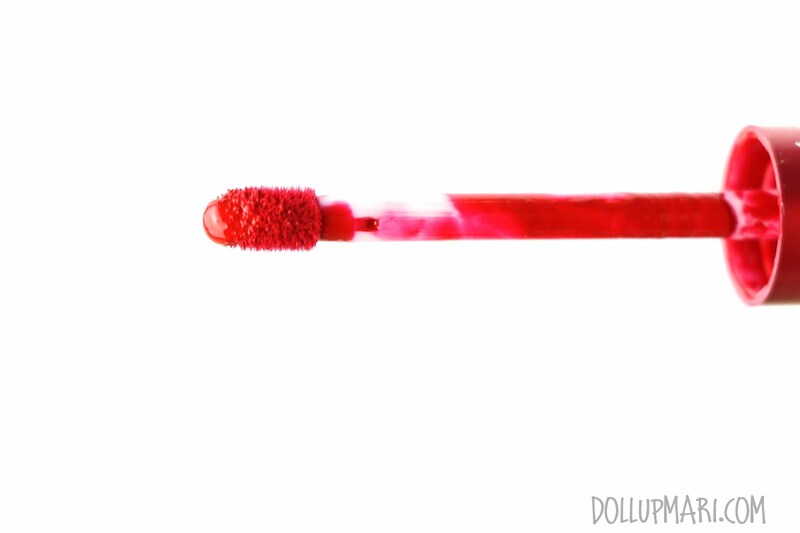 The reason why this wand seems to look so messy despite being unused at this time was because this came from the batch of Lime Crime Velvetines which they announced as overfilled in production. As you can see, this is how messy the rim looked like even at the first encounter. And this is the arm swatch. The one on the left is the swatch the moment you swipe the wand in a single stroke. The one on the right is how it looks like once blended and relatively dried. You can now notice that it goes on really matte once dry. And now for the lip swatch. This is the view with the normal view. You can see now how unforgiving this is to errors. As in you cannot make any mistake because you will most likely not be able to get it off with tissue or your fingers. You'd either have to be the best lipstick person ever or risk melting the surrounding makeup with an oil based makeup remover. Even with all your might, you'd only be able to remove some of the product, and a bright fuschia stain will be left on the areas you wiped on. 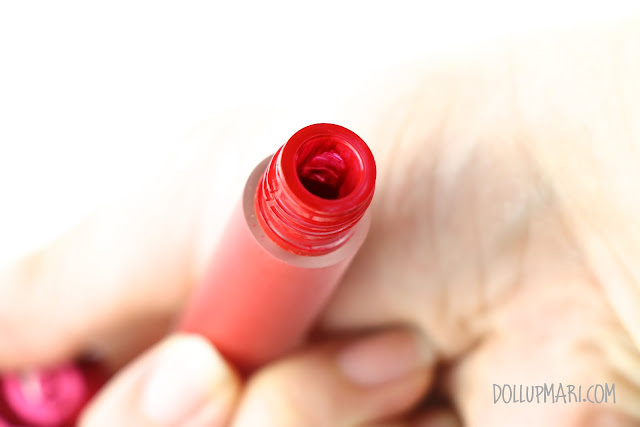 As in it's virtually impossible to wipe this clean not unless you are wearing a smear of petroleum jelly on the side or you are to use lip liner religiously. The fish eye function probably exacerbates the situation. However, in terms of color, the color itself is really pigmented, looks elegant, and it's a bluish red. Its bluish undertones help to make an illusion of whiter teeth, as you will see in latter photos. But other than that, from afar it looks really luxurious. 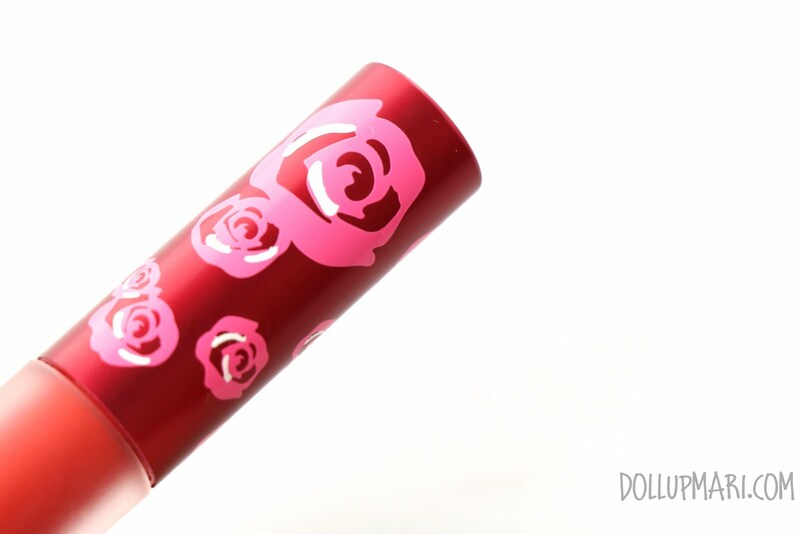 Compared to NYX's lip creams, this does a better job in dealing with flaky skin on the lips. 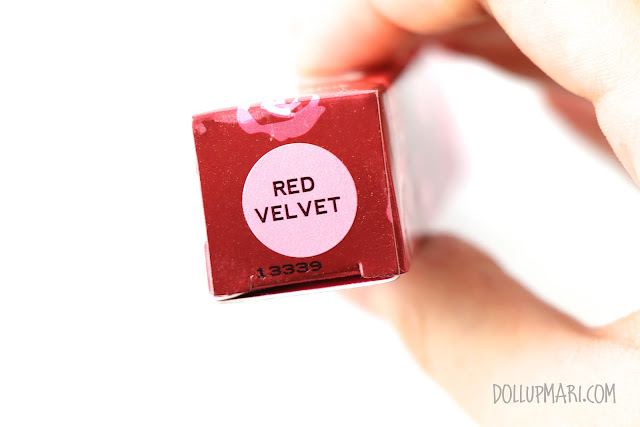 It's able to do a relatively good job in covering up flaky skin that the overall effect is a nice velvety finish. However, it's very very uncomfortable. The moment I put NYX's lip cream, I already feel comfortable, until the time it gets off. But with this product, it feels very very sticky and tacky the moment you apply it, until after a long time that it has dried. The only time it feels comfier is once it's about half an hour after it's dried, but it's still not as comfy as what I was hoping for. But lasting power wise, this lasts longer, is more resistant to food and beverage, and takes longer before it fades. 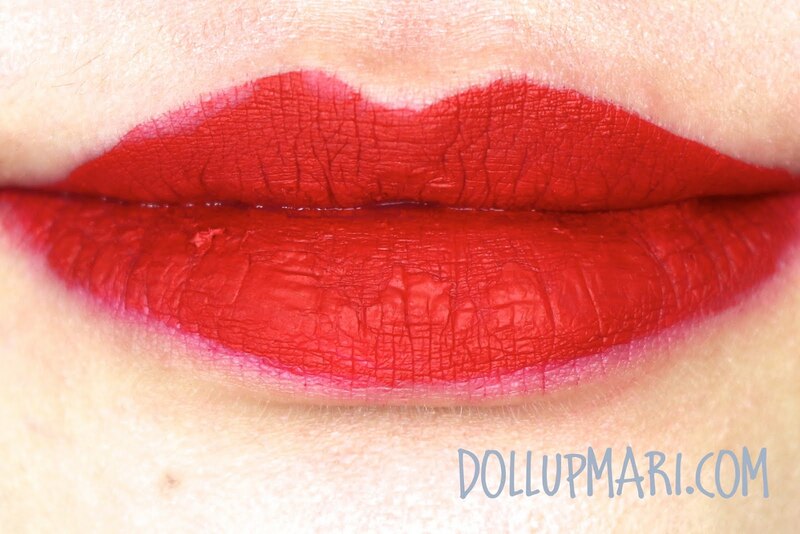 This really needs to go with lip liner if you don't want the cement feels to it. I think I can go a day without any problems at all, unlike NYX's lip creams which I have to reapply every few hours or so. The nice thing about this is that in general, as a product, you can make sure that as long as it has not gotten in your teeth while you were applying it, there's virtually no chance it will stain your teeth once it has dried. This is the kind of product that will work well for parties as you do not need to reapply and you can be worry free that your teeth won't have blotches of red in photos. 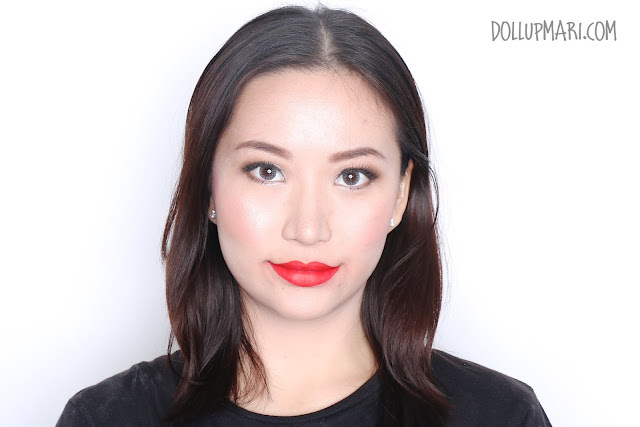 As a product overall, I personally feel that it's good in color, pigmentation, and overall effect on the lips, but I just feel that it's too uncomfortable alone. I'd either have to swipe gloss or another lipstick or something over this to feel better about it. I got this for Php780 from the now defunct NYX Wholesale PH. In the era of resellers selling this for Php1000 and beyond, this was a total steal. I am sad that NYX WholesalePH is gone now. I guess the entry of cheaper liquid lipstick brands like Colourpop and Jordana has turned this into "high end" luxury. 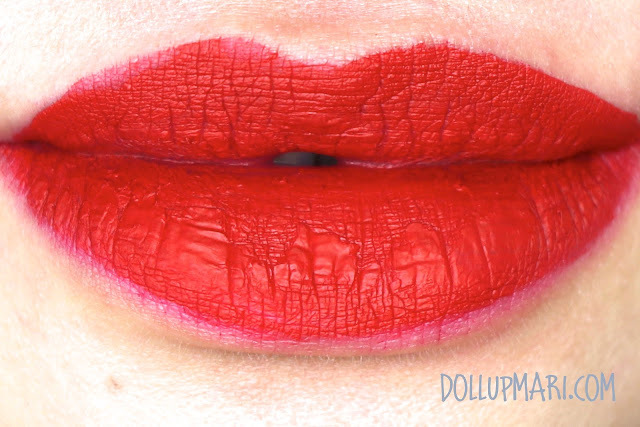 Back then since this was more or less the only liquid lipstick known to mankind aside from NYX SMLC, people just had to stick it out. As for value for money, I'm not really going to say that this is a value for money product not unless you are addicted to red or are a makeup artist looking for something that will really last on a client. The color is quite shocking that this is not something that the regular person would sport everyday, and at this rate you can already buy three or four NYX lip creams in more pinkish and neutral shades. You can get more staying power and less flakiness with this one, but NYX's is just comfier and there's more colors to choose from. In terms of Lime Crime, I'd personally prefer to get the opaque lipsticks more than this product line as the lipsticks feel comfier and come in a lot of colors, colors that I'd be able to use often. Overall, this isn't a bad product, but it's just not what I'd personally run after. 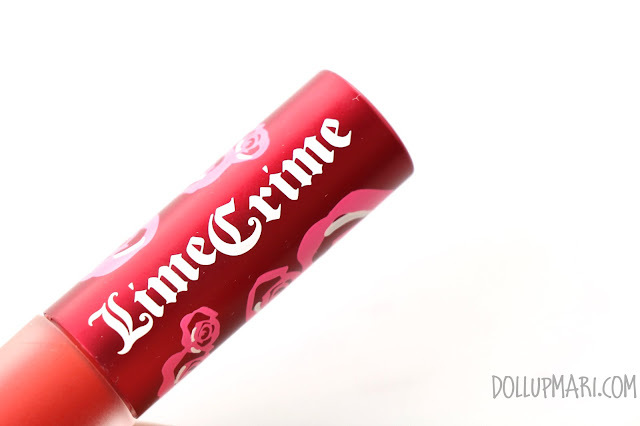 Lime Crime has plenty of other products I have a fancy for, and the concept of a matte lip cream itself also has quite a lot of more affordable dupes. 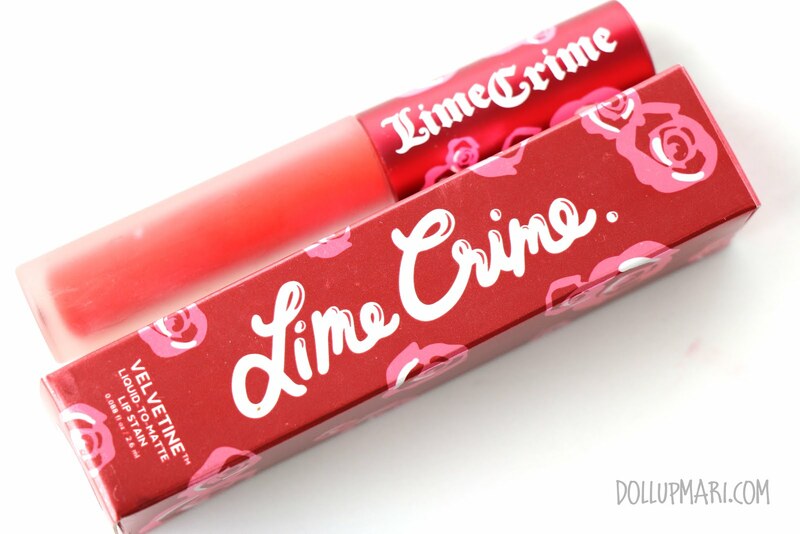 Which do your prefer: Lime Crime Velvetine or NYX Soft Matte Lip Cream? Please do tell me in the comments box!! !